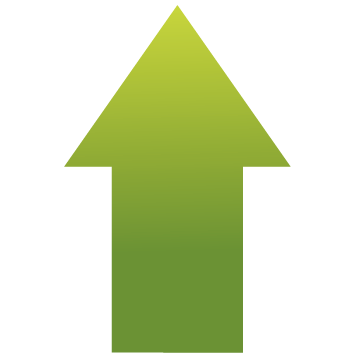 The latest bridal designs updated regularly, check frequently for new additions. 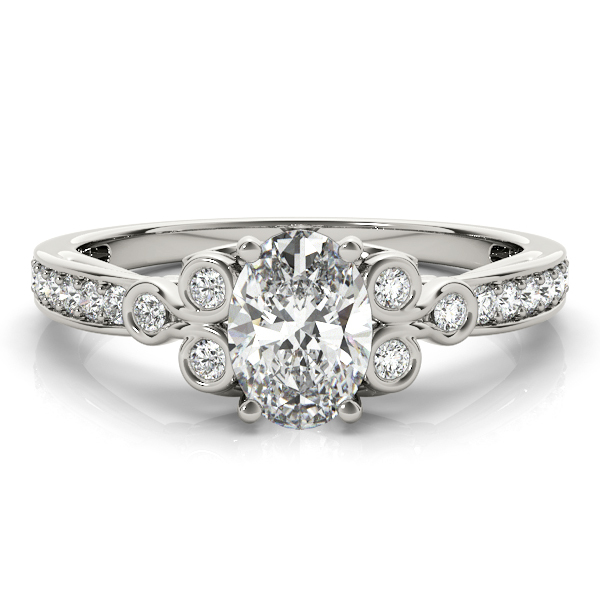 The center stone is surrounded by many smaller diamonds. 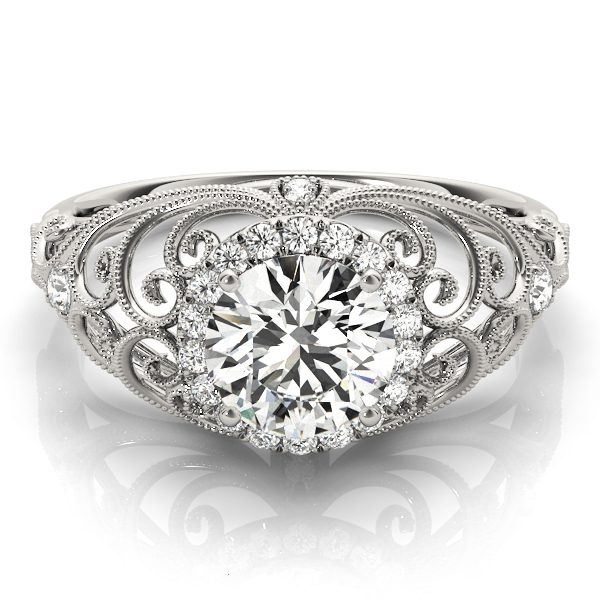 Vintage inspired engagement rings featuring milgrain and filigree. 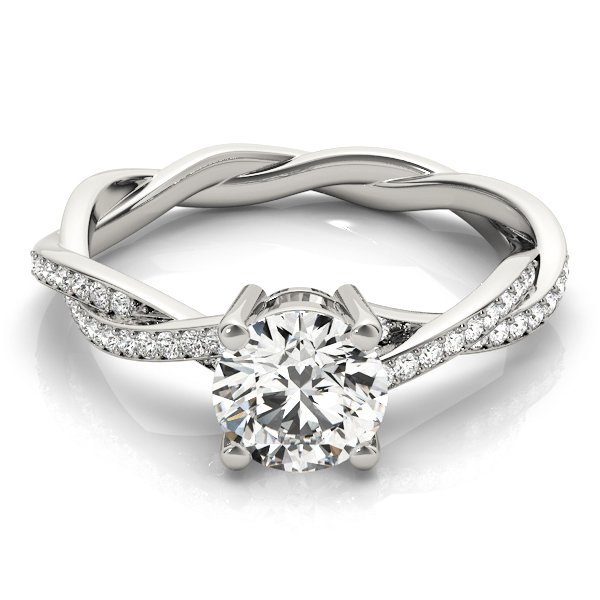 Engagement rings with a weave or twisted pattern on the shank. 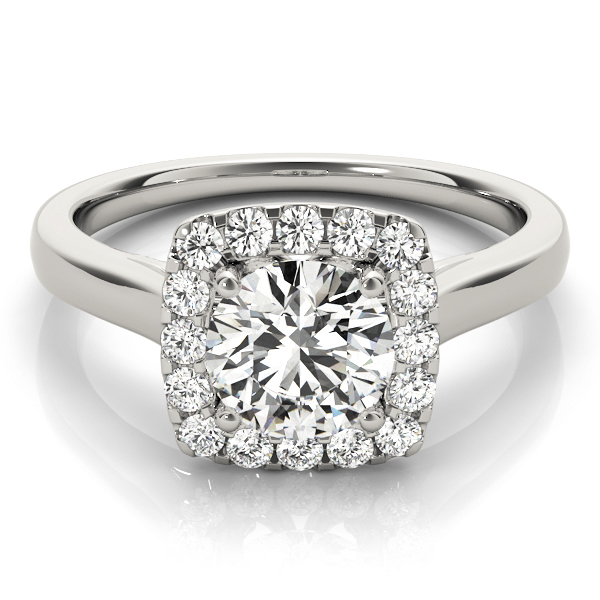 A single row of diamonds leading up to the center stone, a true classic. 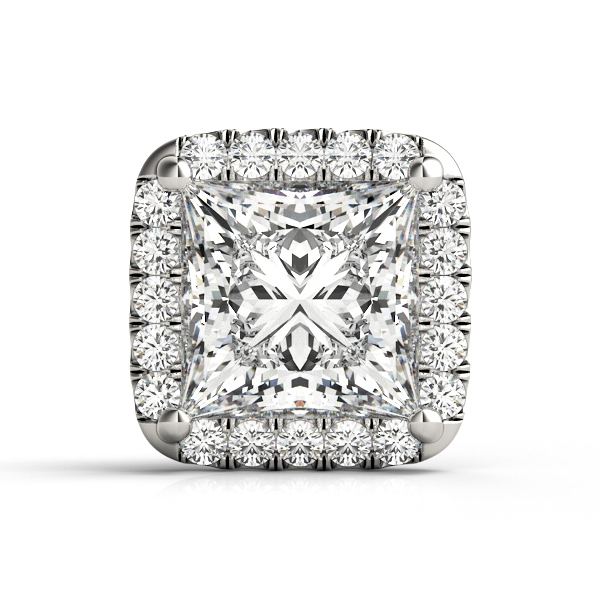 Two or more rows of diamonds leading up to the center stone. 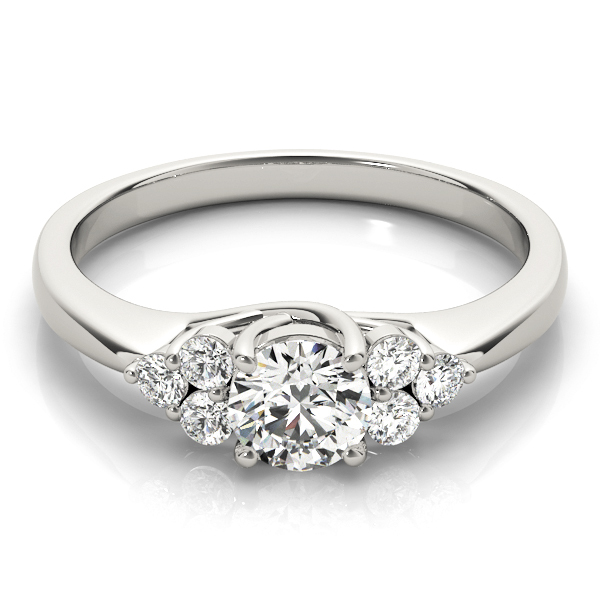 Small diamonds set tightly together giving the appearance of a solid diamond surface. 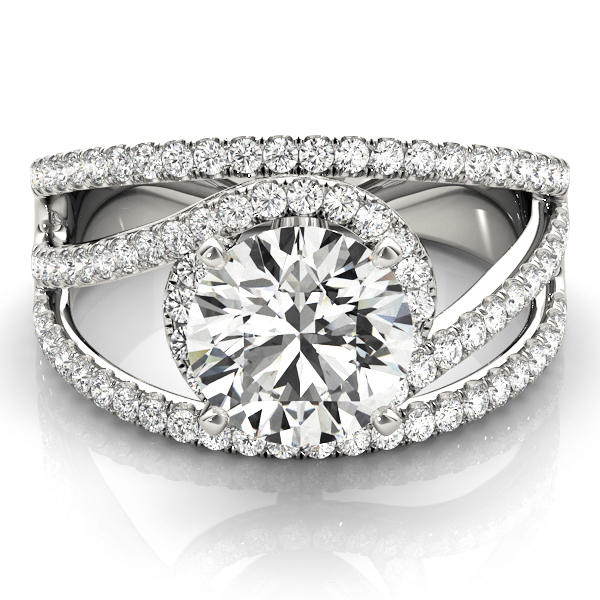 Both sides of the shank wrap around the center stone creating a modern look. 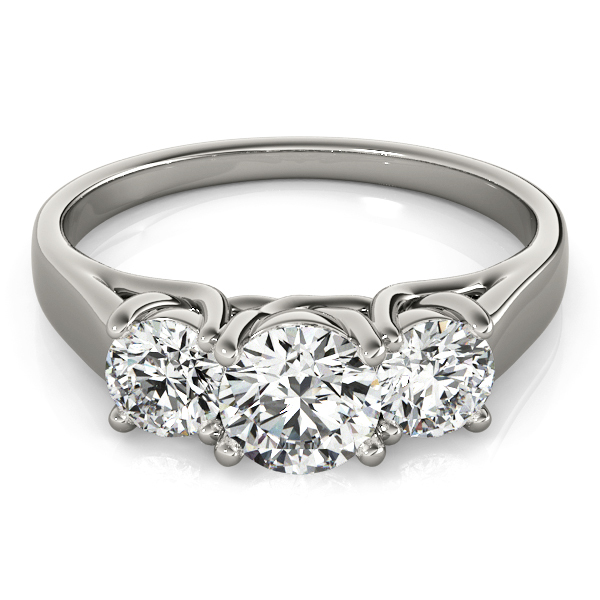 A classic style, the trellis design cris-crosses under the center stone. 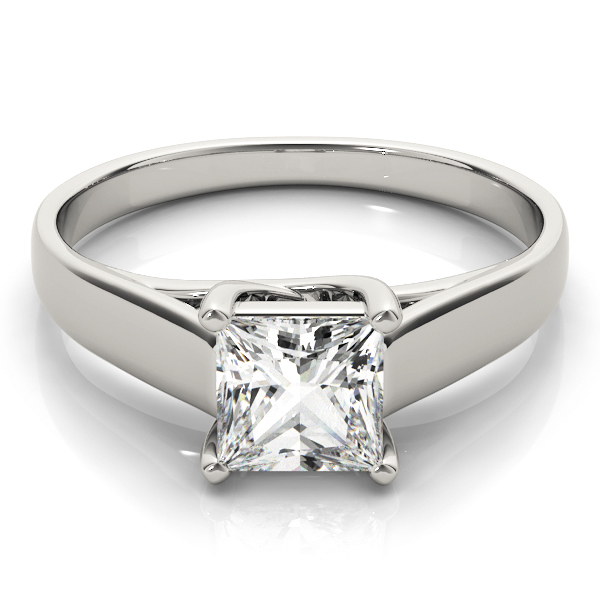 Almost a solitaire, but not quite solitaire. 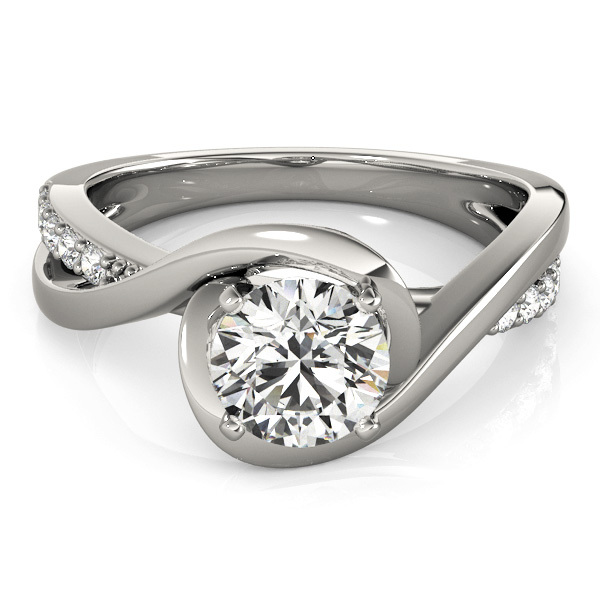 These rings are simple yet elegant. 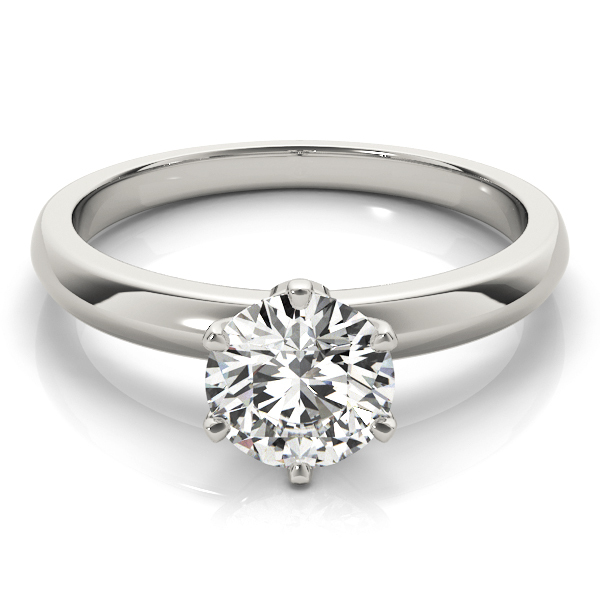 A true classic, the solitaire is made up of a single stone and a plain setting. 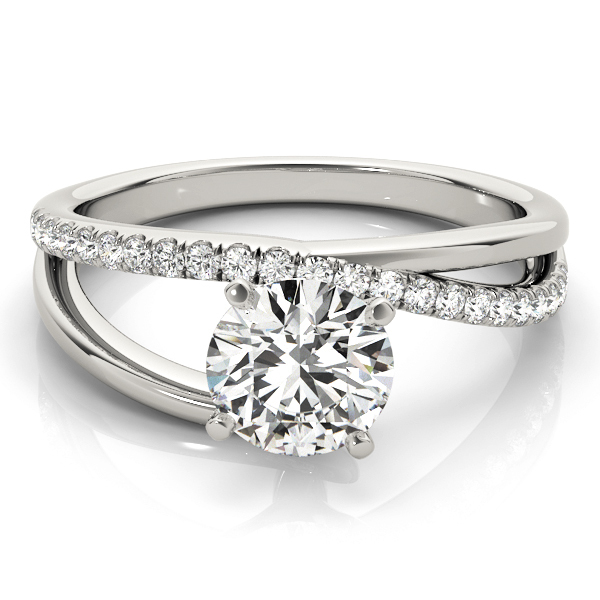 A center stone set in between 2 other substantial diamonds. 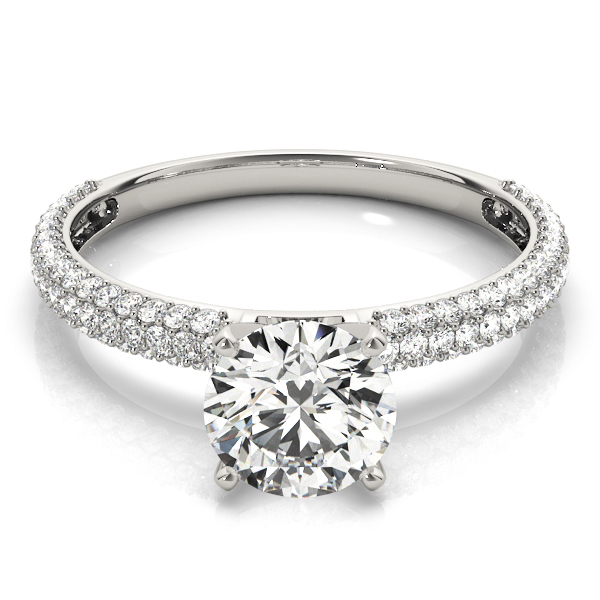 Side diamonds bring out the brilliance of the center diamond. 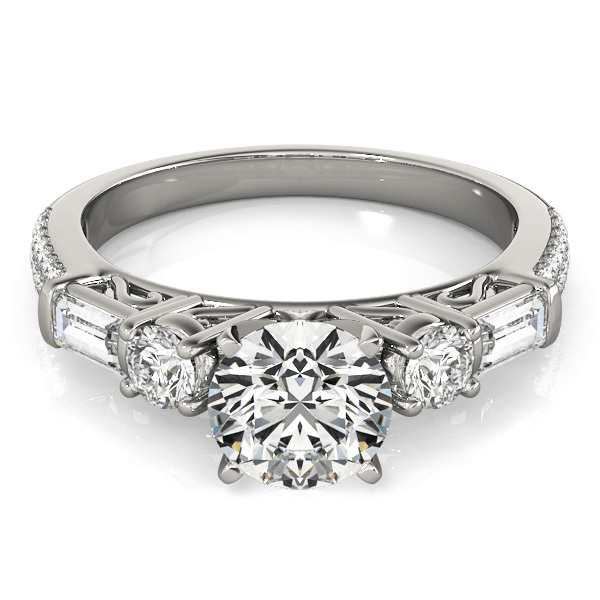 Fancy shapes side diamonds set the stage for some remarkable settings. 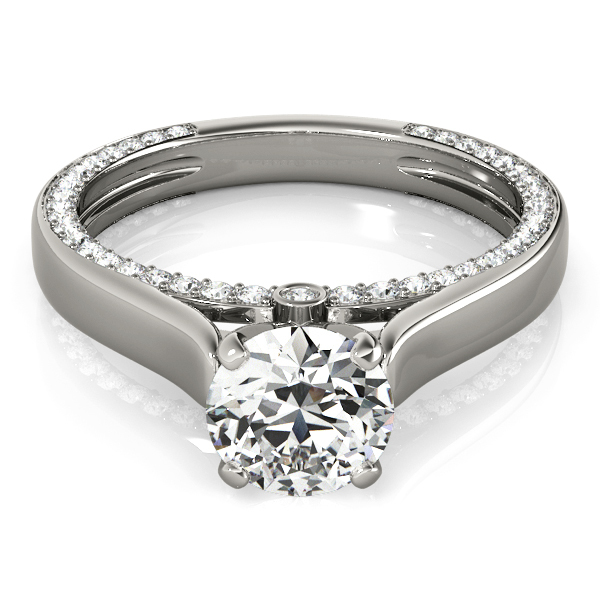 Settings that can easily accommodate most any shape or size center diamond. 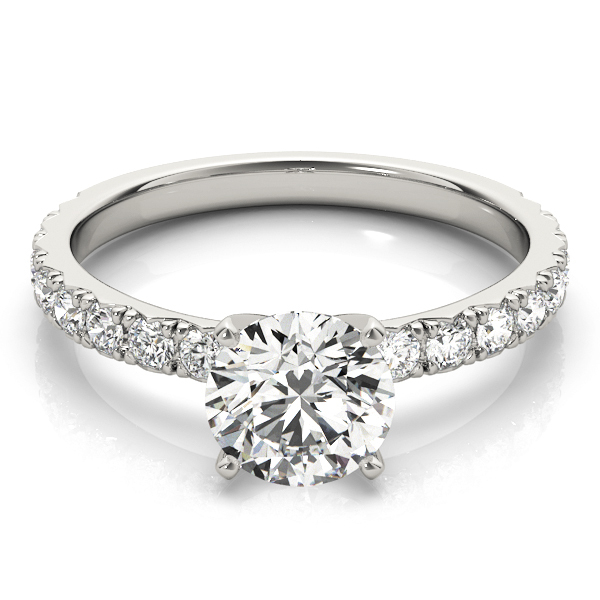 Standard, fancy and halo heads to showcase the most beautiful diamonds.